It is no secret that becoming a successful first-time entrepreneur is no easy task. Couple that with the problems that our economy is facing from year to year, and it may appear that small businesses which are scrambling to their feet have little to no hope. Failure is very much a reality if you’re not educated on where you should be taking your business during difficult times. Before your business cracks and is beyond the point of no return, consider working with a success coach and/or personal development coach to relieve yourself of uncertainty. Let us help, coach, and build a brighter future for you and your success together. Taking a look at the growth of technology, it has accelerated at a rate equal to everything else in today’s world. What progression we’ve made in the last 100 years will feel like 20,000 years at the end of this next century. This growth applies to business, your personal life, the staggering amount of information you’re exposed to daily and so on. The current rate of expansion is noticeable when looking at the world population since 1 A.D. Before, when it took nearly 2,000 years to create 1 billion people, it took only 12 years from 1999 to 2011. If this continues, which it will, our world population will exceed 9 billion. There are solutions to every problem that you may face. It may just take a little coaching to understand what kinds of problems you are facing, how to go about fixing them, and how to handle where your business should be heading. Power Curve Coaching is here to facilitate you in being the best you can be when determining the fate of your business. 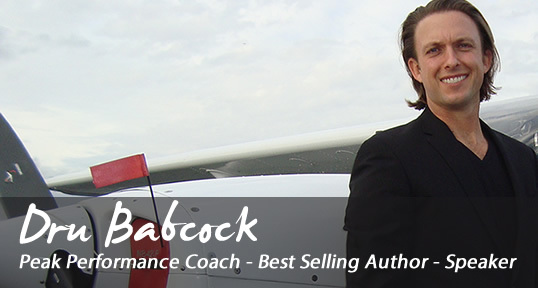 We have suffered and experienced the challenging seasons of life and have overcome some major challenges that have made us into a successful coaching business! It is our goal to provide you, the entrepreneur the tools necessary to survive and thrive in today’s economy. So what are you waiting for? Call now toll free at 800-804-6096 800-804-6096 FREE for a FREE discovery session and see what we can do for you! We will not sell or distribute your personal information for any reason. You know when you get that deep, gut feeling right before making a decision that often times it is the right one? You are following your intuition and making decisions straight from the heart. No matter how many different choices you will make in your lifetime so as long as it comes from the heart you can never be wrong. When we perform at our peak, we are capable of so much more than we often understand or which is too obvious to us. If you allow fear to interrupt your life, it will often lead to significant destructive consequences in life. Our purpose in life is to LIVE, love one another and awaken. No matter who you are, we are all made for a purpose and have a true calling in life! It is only when you have the courage to face your calling is when you can finally fulfill your purpose and allow progress to ensue. Progress is a form of a reward and allows us to appreciate what we accomplish. 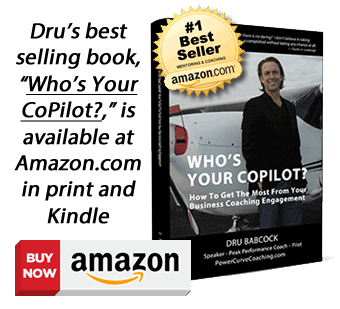 Dru Babcock facilitates people in their journey to become their truest and most magnificent selves. It is only when you are a happy and fulfilled human being when you can freely give and serve the people you love. Do you have a similar dream in your life? Where do you want your destination to be? I can help you along in your journey. Coaching is not to be mixed with therapy. They are two entirely different things that are meant to unlock you in different ways. Your past traumatic experiences or ailments will not be discussed. We want to create a safe environment for you so that you may share what is necessary to create a plan to reach your desired destination in life. Moral judgment is not on the itinerary. Preserving your privacy and protecting information we receive from you is of the utmost importance to us. Confidentiality matters to us and while you are free to discuss openly about our relationship to others, we will refrain from doing so. You have secure coach-to-client confidentiality. It is our mission to help you discover your core values and develop them in a way that allows you to comfortably live your values that exist in your heart. There are a multitude of different things that occur in life that can obscure your vision. Discovering your true self may become so difficult that it stretches beyond your grasp. Many of us may already be at that point or worse. It is our job at PCC to prevent you from falling too deep into the black hole that there is no return. Let us help join in on the fight to help discover your true self and bring out the very best in you. Achieving your highest potential is a stepping stone towards a greater future both personally and professionally. Don’t live one more day in regret of who you could’ve been in life. After all, it’s never too late to find out who you are truly meant to be. It is important for our journey together for you to understand our perspective and the philosophies we live by.